Natural stone is our specialty! We carry a variety of shades from traditional reds to rainbow hues. 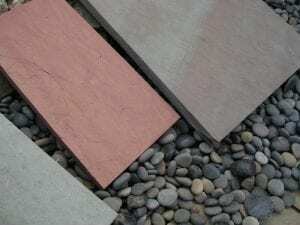 This slate is an excellent choice for walkways and patios. 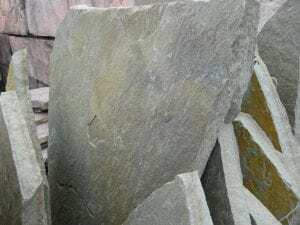 We also supply Vermont slate in finished squares for outdoor seating areas, kitchens or grill spaces. We have pallets of various colors, shapes and sizes, from large slabs to small stepping stones. Flagstone’s natural beauty makes it a popular choice for walkways, patios, ponds and retaining walls. 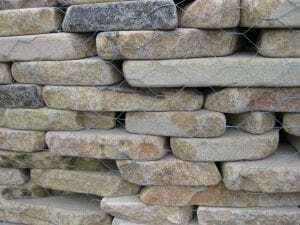 All our wall stone is currently on sale. We stock warm tones from Tioga County and more traditional shades like Colonial Gray and lilac. Plus Canadian boulders, smooth river rock (three sizes to choose from), smooth black Mexican beach stone, and much more! Copyright © 2019 Knisley Landscape Materials. All Rights Reserved.